When I walked into Mt. Carmel Secondary School, to lead my first RISE Leadership Programme, 25 transition year girls stared back at me. We had never met before but we were about to spend the next 10 Friday afternoons together exploring leadership and what positive change might look like in their community. The girls were chatty, full of energy and enthusiastic. 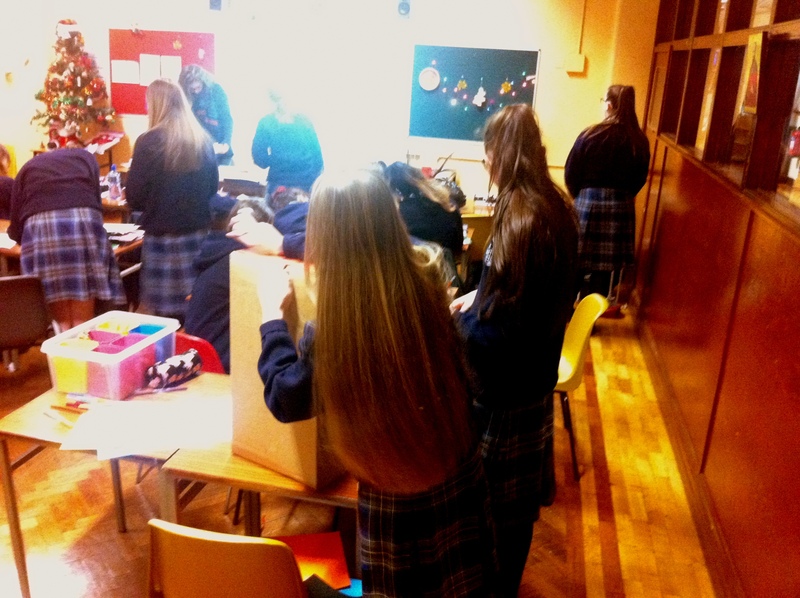 As we worked through leadership, vision, teamwork, and encouragement the girls identified a need in their inner city Dublin community to bring positive change to. They felt passionate about helping the homeless especially during this cold Christmas season. The girls spent time making dozens of posters to spread the word around school about their 2 week long collection of clothing and food for the homeless. They decided to donate the items to Simon Community, a local charity which assists the homeless. RISE also explores vision and how to cast a compelling vision through enabling teenagers to imagine a better future for their own community, then and there. Chantel grasped this idea well when she explained why they decided to the project they did. She said they wanted to help the homeless, “because not a lot of people help the homeless.” Another student said, “because we want them to feel like other people care about them.” The class collected nearly a dozen bags full of clothing and several items of non-perishable food. According to Simon Community, there are now over 1,400 people in temporary emergency accommodation nightly across the greater Dublin region. They serve over 3,000 people who are homeless or at risk each year. Over 100,000 meals are served and 28,000 hot drinks and sandwiches are distributed. This Christmas 25 teenage girls at Mt. Carmel, are helping to bring hope and positive change to some of the most vulnerable in Dublin. **Our vision for RISE is to see inner city communities in Dublin flourish through the positive contribution of young people. RISE is focused on the north inner city and Dublin 8, working with teenagers growing up in areas facing socio-economic and educational disadvantage. To give to support our work with teenagers through RISE please click here.